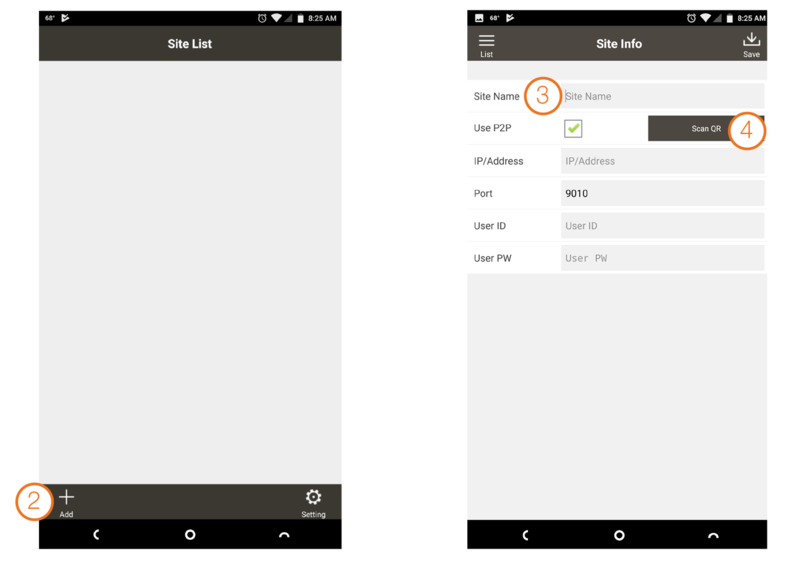 The P2P PathFinder™ lets you securely view your system on your iOS® or Android® devices by scanning a QR code in the recorder’s settings menu. PathFinder™ allows users to connect, view, playback and search video from their DW® video surveillance solutions anywhere, anytime, with no need for complicated port forwarding. - VMAX® IP Plus™ app for both iOS and Android does NOT support Pathfinder on the VMAX® A1™ 1st or 2nd generation DVRs. 1. Log in to your VMAX® IP Plus™ as the administrator. By default, the machine should log in with username admin and an empty password field. 2. Right-click on the screen. Select the menu option. 3. Select the Network icon. Pathfinder should be listed. Select it. 4. Check mark Use Pathfinder. Select Get ID for the machine to automatically produce an ID and QR code. 1. On the Google Play store or App Store, download VMAX® IP PLUS™ MOBILE CLIENT (You can simply search “vmax ip plus”. Download the app and allow any permissions it requests. 2. Launch the application. Click on the Add button on the bottom left of the screen. 3. On the Site Info page, enable Use P2P. It will now give you the option to scan a QR code. 5. 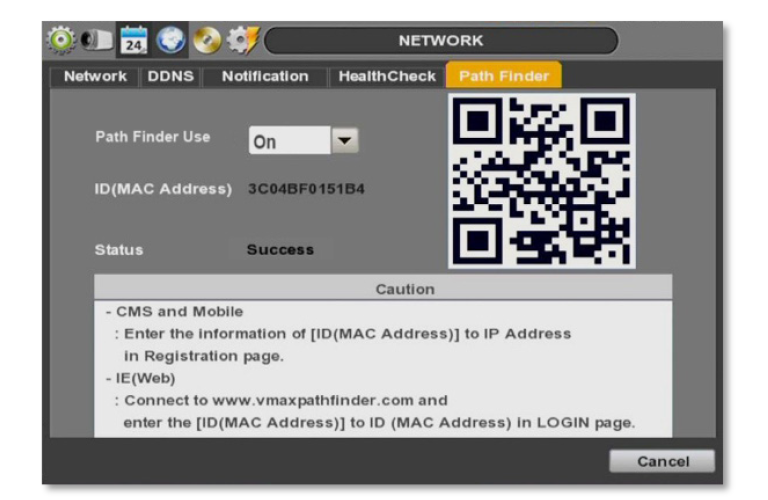 Once the camera registers the QR code from the DVR, the IP address field will show the NVR’s MAC address information. Note: DW Mobile app does NOT support PathFinder™ on the Android app. 1. In the DVR, right-click anywhere on the screen and select “MENU” from the popup menu. 2. Go to NETWORK > PATH FINDER. 3. Enable P2P PathFinder™ option on DVR setup menu by selecting ON from the drop-down menu options. 4. If the registration was successful, SUCCESS will appear under Status. If there was a network connection issue, FAIL will appear under Status. 5. Keep this screen open for QR code scan via the mobile app (see #3 on the mobile app setup section). 1. Launch the DW® Mobile™ or DW® Mobile Pro™ application on your Android® or Apple® smart-phone or tablet. 2. Go to the Site menu to register a new site. 3. Press QR icon at the bottom of screen. 6. Complete the new device’s registration information by adding the device name, port number, user-name and password. Select ‘Save’ to complete the registration. 7. 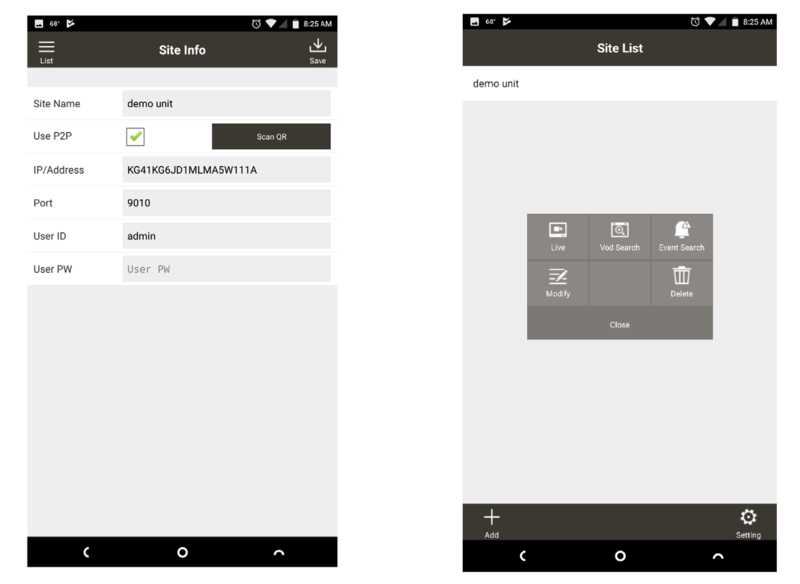 The new site will appear in your sites list.